DJ Khaled knows the recipe for a hit. It’s been three years since Jay-Z and Beyoncé last collaborated together on record. So leave it to DJ Khaled to bring hip-hop’s royals (and expectant parents) back together for another one. After the 59th Annual Grammy Awards came to a close, the We the Best mogul immediately announced he would be “Shining” alongside Jay-Z and Queen B herself for their latest TIDAL exclusive. 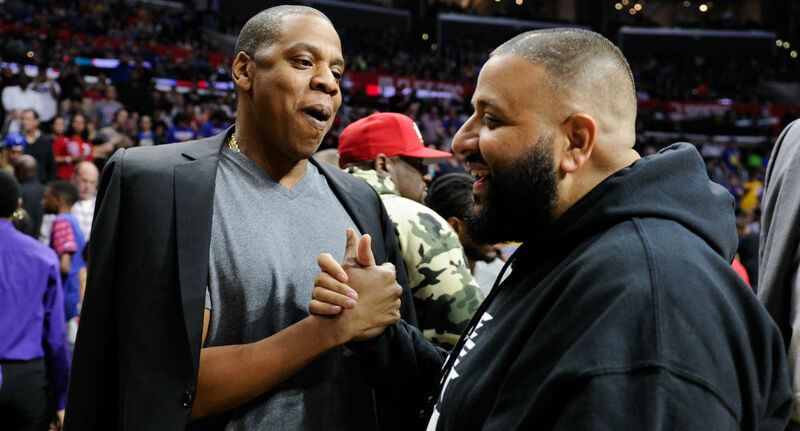 Noting that he’s “worked his whole life for this one,” Khaled presents an upbeat and catchy pop track that features a successful Yoncé boasting about “all of this winning” and a mindset that says “nobody try to hold me down.” While B holds down the hook, the first verse and the bridge, she’s joined by her hubby, who shouts out 21 Savage while lyrically flaunting all his Grammy’s. But Savage isn’t the only rapper referenced in the song. Many fans speculate Jay is working as a subliminal criminal, taking aim at Drizzy Drake – you know, hip-hop’s golden boy. But this latest release isn’t the only Carter highlight of the night. Beyoncé brought home a couple (more) Grammy awards for Best Music Video and Best Contemporary Album. Would we expect anything more? Well, yes. So we’ll just have to see what’s next. Until then, have a dance party and rock out to this 5-minute Khaled-produced track.